First special thanks go out to the love of my life Bruce for enduring my countless hours of creativity. I love you so much bubba! George Petropoulos for first being the dearest of friends, encouragement and for his excellent photography. Chet Chambers, Mark Hornsby, Dan Ankney, Kat Bowser, Christopher Guerin, Mike Ross Julie Doust and all the great folks for their contributions to this project. You folks are really the best! Chet, a special thanks for helping make me sound better than I thought I could be! You have always been a great friend! 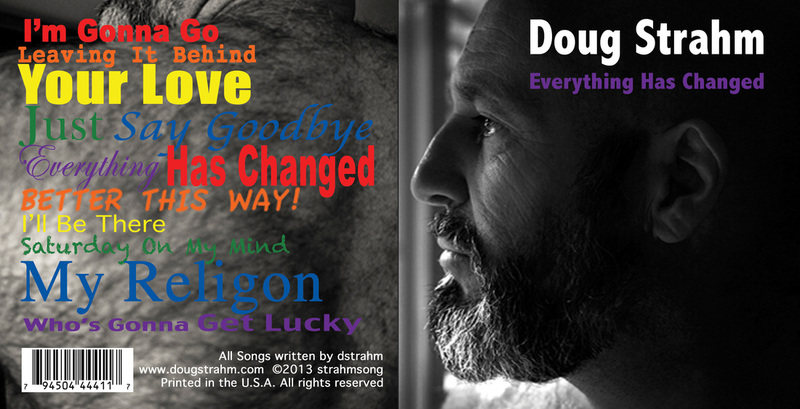 All songs were written by, dstrahm. Music direction, Keyboards, Bass, etc. & etc. Chet Chambers. Guitars on Leaving it Behind & Everything has Changed, Dan Ankney. Mixing, Mastering & Special Magic, Mark Hornsby. Background Vocals, Chet Chambers, Kat Bowser, Dan Ankney. And special thanks to everyone who has supported this project right out of the gate.